I’ve always liked brown paired with green in various tones, but by and large my favorite is brown with a minty green, like mint chocolate chip ice cream. I certainly got that color combination with my dyeing arts superwash merino fiber I purchased at a local guild show in November. I finished plying yesterday, and it dried overnight. 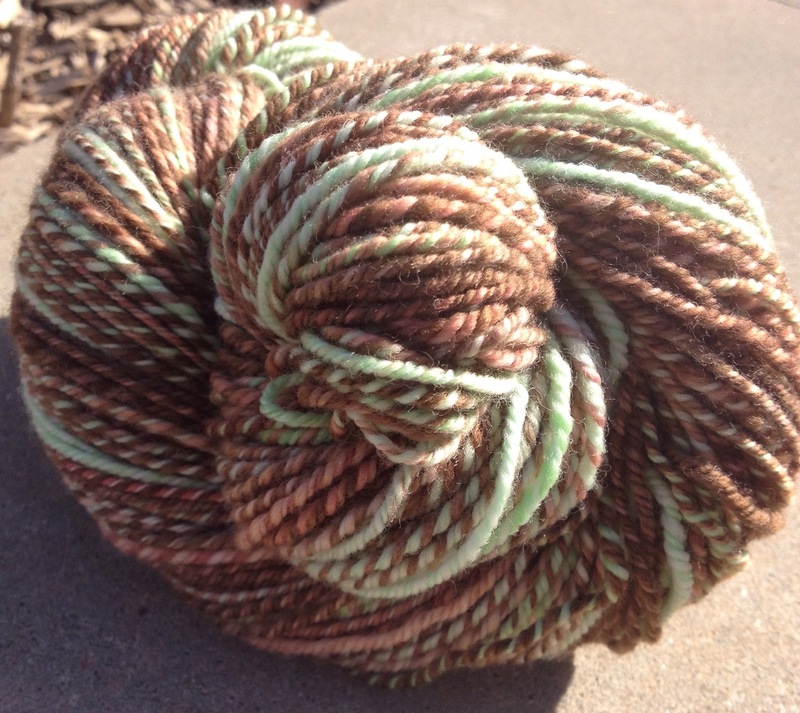 Now I’ve got 230 yards of 3 ply minty chocolate toned yarn. Very nice! Even better, I finished plying another skein yesterday, but didn’t get a chance to skein it until this morning. So, I’ll get to post another skein tomorrow. I love spring spinning!